The reaction to my video series, Your Platform Makeover, has been phenomenal. People are excited to realize that with some expert insight and a handful of simple strategies, getting the attention their message deserves is finally within reach. And here’s the great news. What I’ve revealed in the videos is only the beginning. If you feel like your message is getting lost in the crowded marketplace of ideas, now’s your chance to join the one online community that can help you increase your traffic, expand your influence, and give the world what only you can provide. How? Through focused training, insider tips, and an engaged group of people passionate about sharing their message—just like you. 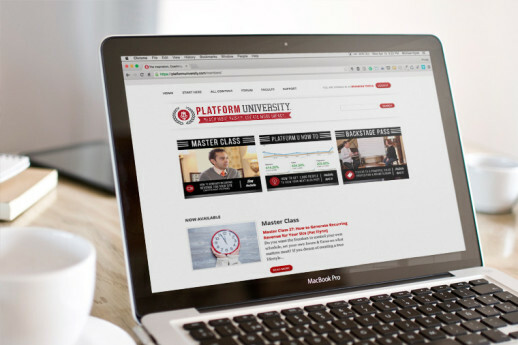 To gain access to premium, video platform-coaching sign up for Platform University. Registration is only open for a week. Click here to sign up now.